A review of Life on the Move: Women’s Migration and Re/making home in Contemporary Chinese and Sinophone Literature and Film, by Hsin-Chin Hsieh. Before I started writing this review, I was sitting in a conference where a Western student gave a presentation on the coffee drinking culture amongst university students in central Taipei. Café goers informed their interviewer that the shop was their home where they spent hours and hours sharing their travelling aspirations with each other in a place out of the reach of their families. Their interviewer, a seasoned traveller himself, dutifully documented the homeness attached by his Taiwanese contemporaries to cafés and was promptly converted to become a coffee drinker after his research. Brewed in the aroma of coffee, their feelings of home did not grow out of the usual links of geography or genealogy. Rather, the sense of homeness was rooted in the free imaginations that knew no boundaries. By leaving behind the home where they were born and bred, the interviewer and his interviewees built a temporary home in a commercial premise where ideas and ideals were washed down with coffee until they brewed homeness again in another temporary home at another café. Is this constitution of aspiration and exchange of shared dreams similar to the homeness constructed by Nieh Hualing’s International Writing Program that Dr Hsin-Chin Hsieh’s dissertation introduces to us (pp. 141-142)? Hsin-Chin’s dissertation offers so much for her readers to ponder on what we think of home. Those that are left behind or packed in our luggage when we move; those that are carefully preserved or discarded in no time when we wonder who we are or whom we have become; those information about ourselves that can be scribbled down in seconds when we fill in a landing card during a flight and other questions about ourselves that bring us deep down to our memory lanes where answers are blurred. Fragmented memories about our past constitute a remote home whilst we live in the contemporary one. Obscured by the remoteness of time or geography, this far away home may as well be the homeland where we are nurtured by the culture that we cannot opt out until we are able to make our own decisions of accepting or rejecting. In her dissertation, Hsin-Chin invites us to consider all possibilities of how migrants make and remember their home – specifically by women who are writers, filmmakers, as well as their protagonists, whose homemaking becomes an ongoing dialogue, and in some cases, a life-long pursuit, between the self and the socio-historical surrounding. Whilst on the move, their gender roles of wives, mothers and daughters-in-law intersect with their class and ethnicity (pp. 3-4). Their homemaking, or the dialogue between the self and the social being (p.3), is a result of this intersectionality situated in their specific locales where they voluntarily or involuntarily adopt as home. These many shades of home are painted by Hsin-Chin’s selection of some migrant women who cross great distance of time, geography, and culture in their journey of searching or building their home. Projected by novels, autobiography, essays, documentaries and films, these migrant women sailed through the vast Pacific Ocean from China to North America at the turn of 19th and 20th centuries, landed in the US from China and Taiwan in the second half of 20th century, crossed the Taiwan Strait in both directions in the past three decades, and departed from Southeast Asia for Taiwan since the early 1990s. Treating literature and film as text, Hsin-Chin employs the concept of Sinophone (Shih 2011; 2013) to analyse these different shades of home presented by these writers and filmmakers who are otherwise difficult to neatly fit in the conventional categories of Chinese, Taiwanese, Asian American identities (pp. 51-58) . As a matter of fact, the advantage of using Sinophone as an analytical tool goes beyond labelling the creators or the created characters. Hsin-Chin reminds her readers that Sinophone is a subversive concept that challenges the perceived cultural hierarchy between the root and core of the continental China and the derivation and periphery of the users of Sinitic languages scattered around the world. The concept of Sinophone underlines the tension between the localised and hybrid home and the historical homeland that is not only haunting but also imposed on a diasporic people whose Chineseness is subject to constant the negotiation with their local environments (pp.11-14). When examined by the concept of gender, Hsin-Chin argues that the articulations of home and homeland by male writers tend to be dominated by masculinity manifested via patriarchy, patriotism, and nationalistic nostalgia that inspires a return to the homeland (pp. 8-10, 45). Noting that writing as such overlooks ‘settlement, localisation and immigrants’ attempt to negotiate with mainstream cultural differences’ (p. 45), Hsin-Chin raises the question of how female writers would project home and homeland when they, and their protagonists, are on exile or migrate for a better life (p. 9)? In between their home and host countries (p. 46), would they, and their fictional women, embrace the dream of returning home, or choose to stay and make a new home in their destinations, like the contrast between Chanu and Nazeen in Monica Ali’s Brick Lane (Ali 2003), or Da Yong and Fusang in Yan Geling’s the Lost Daughter of Happiness? The role of women as mothers has been argued as being instrumental for maintaining the ethnic and cultural boundary (Yuval-David & Anthias 1989), particularly for those who move and make their home in the foreign land the centre of cultural preservation (e.g. Christou & Michail 2015; Erel 2013; Giorgio 2015). Yet, in Hsin-Chin’s research on female cultural producers and migrants, except for Southeast Asian women who migrate to Taiwan because of their marriage (p. 281), homemaking as a means of continuing personal cultural heritages does not seem to be a common undertaking. Rather, Hsin-Chin’s task of analysing their texts is to centralise the fluidity of home that is manifested by women’s agency of negotiation between the root (the original home) and routes (the geographical and cultural mobility). In Chapter 2, Hsin-Chin focuses on Zhang Ling’s Gold Mountain Blues and Yan Geling’s Lost Daughter of Happiness, and analyses the literary creation of the Chinese women migrating to North America at the early stage of Chinese migration. She argues that the two writers situate their fictional migrant women in a split trans-Pacific household where men, as husbands, sons and the main source of income, were absent. Underlining the theme of transformation, Hsin-Chin argues that in the absence of men, the women who were reluctant or involuntary migrants were empowered by their negotiation with geographical boundaries, economic capital and cultural difference in Canada and the U.S. (p.111). Not only were they responsible for the running of daily life in the home in China but they also became the pillar of the localised home in North America. Interestingly, empowerment generated by men’s physical absence as well as receiving their regular remittance was also found amongst Mexican women whose menfolk joined in the Bacero Programme during the WWII and who were left in the home in Mexico (e.g. Neu-Sotelo 1992). Alluding to the cultural encounter occurring in migrants’ everyday life, Hsin-Chin particularly delves into how the body of Fusang, a prostitute, became the frontier of the encounter with western men, which is undercut by the brutal intersection between gender, class and ethnicity (pp. 86-94). Considering that Zhang Ling also creates the character Cat Eyes as a prostitute (p. 74), one would wonder what kind of ‘cultural encounter’ Cat Eyes would have in her local surrounding. As a matter of fact, women becoming prostitutes in their migration destination is not something unique to Chinese migration across the Pacific in the last century. The experiences of Karayuki-san, Japanese peasant girls who ‘went down’ to Southeast Asia and worked as prostitutes in Singapore and North Borneo in the early 20t century (Warren 2000) would push us to venture into a deep comparison of how women embody colonial contact in different local settings. In Chapter 3, Hsin-Chin investigates women’s mobility that is a result of exile and pursuit of betterment, which is reflected by Nieh Hualing’s Three Lives and Chang Yuan’s Being Eileen Zhang’s Neighbour. The two writers are chosen to highlight their ability of remaking their home in wherever they were. In Chapter 1, Hsin-Chin stresses the contrast of the construction of home and homeland between male and female writers. It is suggested that the former use the metaphor of home and homeland to refer to national community, whereas such reference to a collective being is often missing in female writer’s works. Yet, in this chapter, Nieh Hualing’s Three Lives is selected as an autobiography that unfolds along a grand historical narrative of the nation-state that is underlined by Nieh’s experiences of political turmoil in China and post-war Taiwan. Chin-Hsin argues that the unusualness of Nieh’s narration of this ‘masculine’ history is her sentimentality (p. 120). Hsin-China argues that being on continuous exile inside China, from China to Taiwan, and from Taiwan to the U.S., Nieh’s rootlessness finally came to a halt in Iowa. Characterising her ‘reinvention’ of the new home as ‘homecoming’ (p. 138, 144), Hsin-Chin asserts that Nieh’s nostalgia of longing to return is mixed with the desire for making a localised home, partly thanks to her marriage (p. 140). Her negotiation with local mainstream culture is to cross all boundaries and her crossing is realised by her founding of the International Writing Programme that welcomes all who need a home free from all forms of suppression (p. 141). Putting Nieh Hualing and Chang Yuan in the same bracket of middle class migrants with rich cultural capital, Hsin-Chin turns to Chang Yuan’s migration of free will for betterment and lifestyle. This cosmopolitan identity is clearly projected by Chang’s self-labelling as an ‘American guest from Taiwan’, particularly when she moved to China. Evoking the concept of ‘flexible citizenship’ (Ong 1999) for Chang Yuan’s choice of destination rendered by global capitalist economy (pp. 151-152), Hsin-Chin further elaborates that Chang Yuan’s migration is a case of translocality, a global dynamism that involves the spread and exchange of people, capital, ideas, images, styles and technologies across multiple locations (p. 147). However, if, as noted by Hsin-Chin, Chang insists on the identity of ‘American guest from Taiwan’ and uses her lifestyle as a yardstick with which to measure the comfort and civility of her new ‘home’ in Beijing, one would wonder how trans-local she actually is (p. 155). Hsin-Chin also notes Chang deliberately distancing herself from the community of Taiwanese wives (pp. 160-164). Hsin-Chin does not offer clues as to why Chang maintains such conscious separation from her fellow migrants. However, readers would note that Chang’s cosmopolitan translocality results from her husband’s career advancement, a cause shared by other Taiwanese wives. However, Chang seems to portray other Taiwanese wives as ‘trailing wives’ (e.g. Yeoh & Koo 1998; Harvey 2008; Insch & Napier 2008), who are believed to enjoy a lifestyle of leisure and luxury (p. 180). Most importantly, in Chang’s eyes, their craving for things Taiwan which convey the sense of home, decreases their translocal credentials. It is worthy of mentioning that marriage is a critical legal status or social institution that either facilitates easier cross-border movement for women or requires women to move to their husbands’ household (i.e. patrilocality) or move together with their husbands. The mobility of Nieh Hualing and Chang Yuan is considerably generated by their marriage. It would be interesting to explore whether both writers ever reflect on the impact of this critical institution on their movement. The exploration of Chang Yuan’s works builds a bridge between Chapter 3 and Chapter 4 where Hsin-Chin takes a close look at the everyday lives of Taiwanese women, who are consciously kept at a distance by Chang Yuan in Shanghai. Focusing on the migration across the Taiwan Strait, Hsin-Chin analyses how the lives of Taiwanese women are projected by an award-winning Chinese documentary (p. 199) and a Taiwanese documentary. Hsin-Chin attempts to engage with the debate on the complex identity of Taiwanese expats in China (p. 184). She also mentions that tensions aroused amongst Taiwanese community who felt alienated because of being treated by locals as foreigners (p. 187, 216). Comments as such make readers wonder whether Hsin-Chin indicate that these Taiwanese migrants would prefer not to be treated as foreigners. Yet Hsin-Chin did not carry this interesting line further. A theme Hsin-Chin does follow in this chapter is the contrast between male and female Taiwanese migrants in their relation to the nation-state of either side of the Strait. Hsin-Chin makes it clear that Taiwanese migrant men benefit from the capitalist economy. They either make profit for their investments, or advance significantly in their careers. Their wives, on the other hand, have no options but quitting their jobs, adopting the practice of patrilocality, and moving to stay in China (pp. 210-211) – but not necessarily with their husbands. This irony of continued family separation, or the split of home, after the wives made the move, is either a result of some husbands allegedly maintaining their extra-marital affairs (pp. 177-178, 222), too occupied by work (p. 217), or mothers moving to stay with children for their education in the gated residency (pp. 219-220), as shown in the Taiwanese documentary Chang’e’s Monthly Visit. The private domain of home thus confines Taiwanese women, a result that is analysed by Hsin-Chin as the confluence of capitalism and patriarchy (p. 213), or, in a plain language, ‘China is men’s heaven but women’s hell’ (p. 222). In a sense, Taiwanese mothers moving to be in their children’s company are not any different from Chinese ‘Study Mothers’ in Singapore, who move in order to look after their children who seek better education in Singapore (Huang & Yeoh 2011). The familial intimacy, or the lack of, is being commoditised, as Hsin-Chin argues, since it is pumped by the absent father’s income (p. 198). Although elaborating that documentary is being used by filmmakers across the Taiwan Strait as a means for giving voice to the voiceless (pp. 187-196), Hsin-Chin nevertheless chooses A Wife’s Stage with which to highlight the political agenda of the Chinese government, since the documentary receives official funding from the Chinese government (p. 199). This documentary sends a clear message, according to Hsin-Chin, that China can be home for the Taiwanese, as long as they are willing to be localised. As shown in the film subject’s reflection, her homeness, which grew out of her success in business and comfort in Suzhou, was a result of her conscious adoption of the local way of life and her interaction with local people (p. 204). Although Hsin-Chin does not elaborate along this line, her readers may conclude from the juxtaposition of the two films that if migrant women do not have the freedom or resources of leaving home in China, the home becomes the embodiment of confinement and suppression and leaves no room women’s reinvention of their home. Chapter 5 reverses the status of Taiwan from being a sending society to a receiving society. Hsin-Chin focuses on the cinematic projection of four migrant spouses who adopt Taiwan as their home. Hsin-Chin alerts her readers that the bilingual titles of the film series transmit opposite messages. Whilst the Chinese title highlights that migrants are conceptualised as outsiders to the national community and wives whose place is restricted to the domestic realm, the English title celebrates the homeness that is substantiated by diversity (pp. 254-257). The celebrated homeness indicated by the English title may be a reflection of its reception of government funding (p. 235). Tracing the growth of Taiwan New Cinema, Hsin-Chin argues that multilingualism is a critical ingredient in these later cinematic presentations of Taiwan (pp. 242-151). Multilingualism, according to Hsin-Chin, is adopted by the films examined in this chapter for emphasising the diversity brought in by migrant spouses from China, Vietnam and Indonesia (p. 287). Hsin-Chin has repeatedly reminded her readers in the proceeding chapters that female writers, as well as their fictional characters, experience homeness in their everyday life. This assertion is most clearly supported in this chapter by Hsin-Chin’s descriptions of how the films depicted the double homeness of Chinese, Vietnamese and Indonesian protagonists. They romanticised their original home, sustained their natal identity, and continued the livelihood of coffee plantation. At the same time, they also endured discrimination inside and outside the home shared with in-laws, negotiated with the pressure of reproduction, and adapted to local way of life. Given the film series receiving government funding, it shall not surprise us that either departing or staying in Taiwan, these films end on a celebratory note and these fictional migrant spouses, according to Hsin-Chin, are empowered by their maintenance of double homeness and the boundary crossing by themselves and their husbands or in-laws (p. 287). They succeed in maintaining double homeness via ’relationships, familial intimacy and cultural encounters in everyday life’ (p. 289), which is expected by Hsin-Chin to strengthen the legitimacy of the concept of Sinophone Taiwan because of the diversity and heterogeneity embodied in migrant spouses and in their family life (p. 289). Hsin-Chin’s ambitious project draws a detailed map of migration with the clearly dotted locations of the homes made by the female writers, filmmakers and the characters born to their creative works. Her research invites us to re-consider the presumed stability of home and the unity of family in any nation-building projects, the gendered perceptions of homemaking and women’s varying degrees of agency of homemaking when they cross the boundaries of state, ethnicity, class and gender. These are common experiences shared by women who either join in their husband’s migration or stay behind. The map of their potential translocality reminds me of a conversation I overheard on a bus in Central London. Two visitors from Europe were exchanging notes about their observations of migrants’ integration in their country. One was telling the other about the extraordinariness of her Tibetan colleague. She described him as a German man when he was in the office during the day, but he switched to Tibetan after returning home where everything was Tibetan. Hsin-Chin’s research shall make us wonder how this Tibetan fortress is built by a woman who was able to make her home a safe Tibetan heaven for her husband as well as the entire family. Ali, Monica (2003). Brick Lane. London: Transworld. Christou, Anastasia.,Michail, Domna (2015), Migrating motherhood and gendering exile: Eastern European women narrate migrancy and homing, Women’s Studies International Forum, http://dx.doi.org/10.1016/j.wsif.2015.06.005. Erel, Umut (2013). Kurdish migrant mothers in London enacting citizenship, Citizenship Studies 17(8): 970-984, DOI: 10.1080/13621025.2013.851146. Giorgio, Adalgisa. (2015). The Italian family, motherhood and Italianness in New Zealand.The case of the Italian community of Wellington.Women’s Studies International Forum, http://dx.doi.org/10.1016/j.wsif.2015.06.002. Harvey, M. (1998). Dual-career couples during international relocation: The trailing spouse. International Journal of Human Resource Management, 9(2): 309-331. Huang, S., Yeoh, B. S. (2011). Navigating the terrains of transnational education: Children of Chinese ‘study mothers’ in Singapore. Geoforum, 42(3): 394-403. Insch, G. S., McIntyre, N., & Napier, N. K. (2008). The expatriate glass ceiling: The second layer of glass. Journal of Business Ethics, 83(1), 19-28. Neu-Sotelo, Pierretteh Ondag (1992). Overcoming Patriarchal Constraints: The Reconstruction of Gender Relations among Mexican Immigrant Women and Men. Gender & Society 6(3): 393-415. Ong, Aihua (1999). Flexible Citizenship: the Cultural Logic of Transnationality. Durham: Duke University Press. Shih, Shu-mei (2011). The Concept of Sinophone. PLMA 126(3): 79-718. Shih, Shu-mei (2013). Again Diaspora. In Shih, Shu-mei, Tsai, Chien-hsin, Bernards. Brain (Eds). Sinophone Studies: A Critical Reader (pp. 25-42). NY: Columbia University Press. Warren, James F. (2000). Sandakan Brothel No. 8: New Lands, Old Ties and Prostitution: A Voiceless Voice. Intersections: Gender, History and Culture in the Asian Context Issue 4, September. http://intersections.anu.edu.au/issue5/sandakan.html. Yeoh, B. S., & Khoo, L. M. (1998). Home, work and community: Skilled international migration and expatriate women in Singapore. International Migration, 36(2): 159-186. Yuval-Davis, Nira, Anthias, Floya. (Eds). (1989). Woman-Nation-State, London: Macmillan. Chang, Yuan 章緣. Dang Zhang Ailing de linju 當張愛玲的鄰居 (Being Eileen Zhang’s Neighbor).Taipei: Jian-Xing Publisher 行健出版, 2008. Print. Public Television Service, 2003. Film. Daibi de xingfu shenghuo 黛比的幸福生活 (The Happy Life of Debbie). Dir. Fu, Tian-Yu 傅天余. Taipei: Khan Entertainment, 2012. Film. Jilin de yueguang 吉林的月光 (The Moonlight in Jilin). Dir. Chen, Hui-Ling 陳慧翎. Taipei: Khan Entertainment, 2012. Film. Jinsun 金孫 (The Golden Child). Dir. Chou, She-Wei 周旭薇. Taipei: Khan Entertainment, 2012. Film. Nieh, Hualing 聶華苓. Sanbeizi 三輩子 (Three Lives). Taipei: Lianjing Books, 2011. Print. Taitai de wutai 太太的舞台 (A Wife’s Stage). Dir. Wang, Jun 王俊. Jiangsu: Jiangsu Government, 2003. Film. Yan, Geling 嚴歌苓. Fusang 扶桑. Taipei: Linking Publishing 聯經出版, 1996. Print. Yelianxiang 野蓮香 (My Little Honey Moon). Dir. Cheng, Yu-Chieh 鄭有傑. Taipei: Khan Entertainment, 2012. Film. Zhang, Ling 張翎. Gold Mountain Blues. Canada: Penguin Group, 2011. Print. University of Oregon. 2015. 309 pp. Primary Advisor: Alison Groppe. 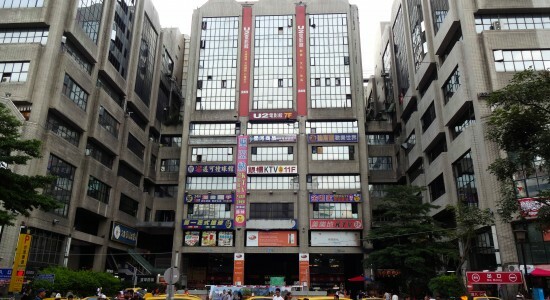 Image: Gold Star Express Co. Ltd in Taichung, Taiwan.